MetraWeather, provider of forecast data and weather presentation services, has joined with Red Touch Media to launch a new e-store for the distribution of ready-to-play weather clips. 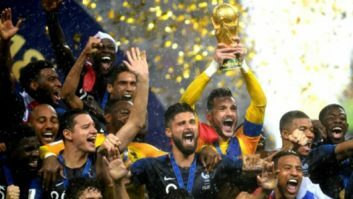 The ClipStore portal will launch with forecasts and weather news clips for European cities and countries, as well as offering match-by-match forecasts for the FIFA World Cup football fixtures in Brazil over June and July. ClipStore enables news producers and editors to review, purchase and download high-quality, location-specific weather clips. In the future, the portal will add news clips of weather events and forecasts for special events including festivals, live performances and sports tournaments. Broadcasters and online news agencies can purchase clips ready for programming, or request MetraWeather to upload bespoke, branded clips tailored for their audiences. ClipStore clips are produced on the MetraWeather Weatherscape XT presentation platform that’s used by broadcasters including the BBC, to produce weather programmes.